Official Race Program can be viewed by clicking here. The Ipswich region will be ignited next week with the opening round of the 2019 SP Tools Australian Kart Championship, presented by Castrol EDGE, and hosted by the Ipswich Kart Club. After a two-year absence from the Willowbank venue, Australia’s highest level of karting competition is set to make a return with a record number of drivers in attendance. More than 300 drivers representing every State of Australia, along with New Zealand, Singapore, Italy and Sri Lanka, will be in action at the event. Drivers as young as seven will line up in the Cadet 9 class – including third generation racers Jaxson and Jenson Burns and Patty Buckley. For these youngsters, the thrill of success on the track is exciting, while they learn valuable driving techniques well before they are old enough to obtain their road licence. 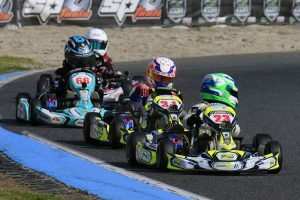 In the largest field of drivers assembled in Australian karting for more than a decade, 72 drivers will be battling for victory in the Cadet 12 class – for drivers aged between 10 and 12 years of age. Gold Coaster Chris Hays will start as one of the favourites for the elite KZ2 Championship as he enters his tenth year at the highest level of the sport. He secured the number one plate in 2012 and after finishing third in last year’s title chase, he has got his sights set on the top spot yet again. The 24 year-old will face tough opposition in the battle for the title in the six-speed gearbox class that features a mix of rising stars and experienced veterans, who will reach speeds in excess of 140 km/h around the 1080m circuit. 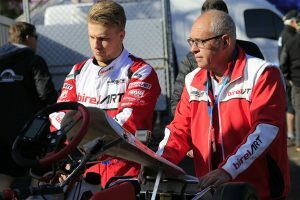 Ipswich Kart Club President Scott Howard believes hosting the Championship is a true honour for his Club, and will also provide the City of Ipswich with a significant economic boost. “To attract more the 300 of the best drivers to our circuit for a round of the Australian Championship is a real honour for everyone involved in the Ipswich Club,” said Howard. “We’ve worked very hard over the past 18 months towards this event, and making sure everyone feels welcome and enjoys their time in the Ipswich region. Teams and Competitors will begin arriving for the event next Wednesday ahead of practice on Friday. Qualifying and the heat races will be contested on Saturday from 8am before the drivers line up for the finals on Sunday morning. Sunday’s action will be streamed live on www.karting.net.au and the Australian Kart Championship Facebook page from 8:30am local time.